Mr. James (Jim) Kettler was one of the early volunteer founders of the Council of Michigan Foundations. He has served as a leader in both private family foundations and on the board of trustees of the Flint Community Foundation. In these various roles, he observed how CMF grew over time, and the role the council has taken in increasing and improving philanthropy across the state of Michigan. Mr. Jim Kettler talks about his career in philanthropy. Mr. Jim Kettler talks about how the value in philanthropy starts with putting people first. Mr. Jim Kettler talks about how the Council of Michigan Foundations (CMF) brought statewide foundations together to meet common goals. Mr. Jim Kettler talks about a luncheon he went to where he observed influential figures in philanthropy talk and find common goals. Mr. Jim Kettler talks about a phrase from Mr. DeWaters that influenced his understanding of philanthropy. Mr. Jim Kettler graduated from Miami University in Ohio, with a Bachelor’s degree in business. 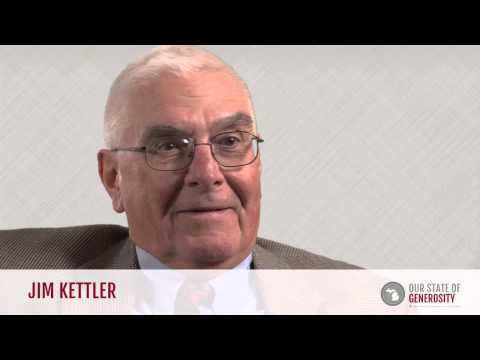 Mr. Kettler found himself as a leader in the field of philanthropy thanks to his degree in business, and as he says, “being in the right place at the right time.” His prior experience in business and managing tax-exempt organizations, combined with his knowledge of the Flint community, drew the interest of the DeWaters Charitable Trust, which brought him on to manage their grants. During this time he also managed the Mallery Charitable Trust, also located in Flint. Mr. Kettler then worked as the executive director for the Ruth Mott Foundation before accepting the position as vice president of the James A. Welch Foundation. The Ruth Mott Fund made national grants to support a wide range of projects focused on a variety of topics including the arts, beautification, health, the environment, and international security. Following his time at these local funds, Mr. Kettler worked as a trust administrator, and later as vice president at Citizens Bank. Eventually he found himself as a trustee at the James A. Welch Foundation, where he served for an impressive 36 years, the last 24 of which as vice president. The James A. Welch Foundation focuses on supporting projects that offer new opportunities to young people in Flint, such as the Flint Science Fair, and programs with the Flint Institute of Music. Beyond these positions, Mr. Kettler was also a volunteer member of the Young Women’s Christian Association of Greater Flint and served as a board member for the Community Foundation of Greater Flint and its predecessor, the Flint Area Health Foundation. Mr. Kettler credits this involvement in the Flint community as the motivation behind Leonard White’s (former vice president of the W.K. Kellogg Foundation) invitation to join the early organizing stages of the Council of Michigan Foundations (CMF). 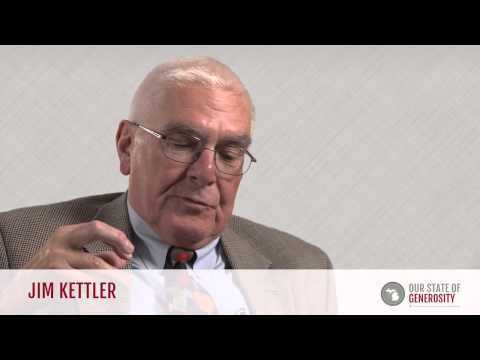 Mr. Kettler was surprised at the invitation, as he was new to the field at the time, but accepted and was involved with CMF for many years. Mr. Kettler’s dedication to, and impact on, the field of philanthropy in the Flint community is indisputable. 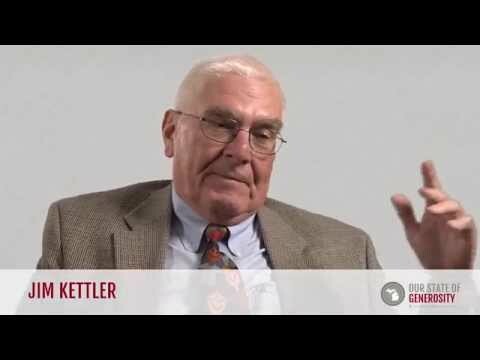 During his time at the DeWaters Charitable Trust, Mr. Kettler found himself involved in three particular projects that have stuck with him. The first was a scholarship fund that he felt had great effect in the community. The second was a program that provided grants directly to teachers to fund classroom projects, which eventually expanded further into the school system. The last and largest was the creation of a $1 million gift to help encourage the University of Michigan to establish a Flint campus. The Flint Science Fair, which continues to be supported by the James A. Welch Foundation, has grown to become a regional event and provides the venue for competition and learning on an international level. Meanwhile, the project that was partnered with the Flint Institute of Music continues and has grown to be one of the largest programs of its kind in the United States, in terms of participation. While his focus has been on the Flint community, the philanthropic field has benefited from Mr. Kettler’s efforts at the state level as well. 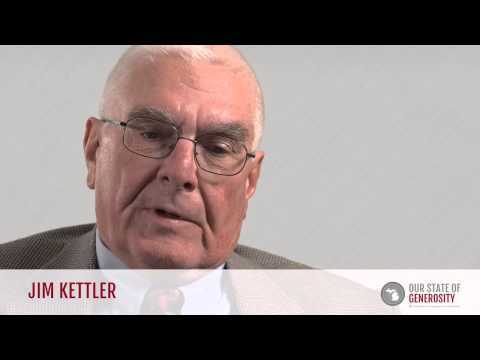 Mr. Kettler was part of the founding of the Council of Michigan Foundations in 1972 and continued to be involved in the infrastructure of the organization as it grew. 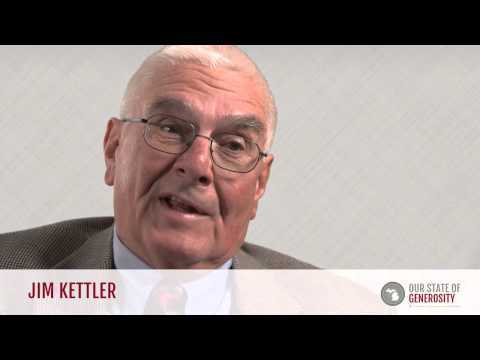 Among his services to the Council of Michigan Foundations, Mr. Kettler served on the advisory cabinet until 2002, the government relations committee from 1985 to 2001, and had a brief stint on the member services committee throughout 1990 and 1991. Mr. Kettler was interviewed regarding his insights and experiences in working with Michigan’s philanthropic community and the Our State of Generosity (OSoG) partners. The following are selected quotations from his interview specifically related to the five organizing themes of the OSoG project.